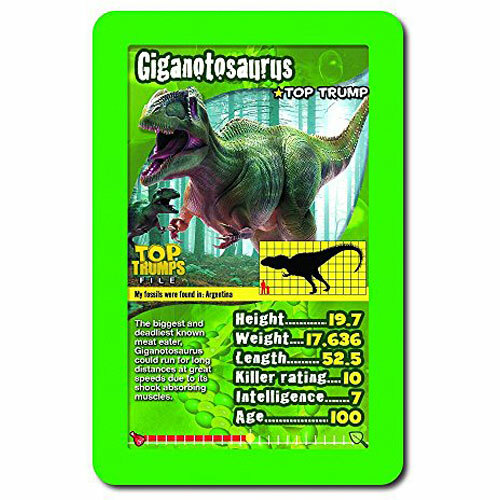 The new Dinosaurs Top Trumps is your guide to the amazing prehistoric world of the dinosaurs! 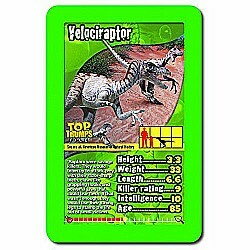 Featuring 30 of the most incredible - and terrifying - creatures to ever walk the earth, this pack is full of fun stats and mind-blowing facts. 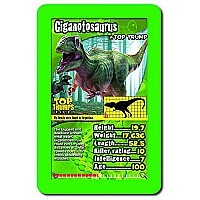 Which was the oldest dinosaur of all, or the biggest? 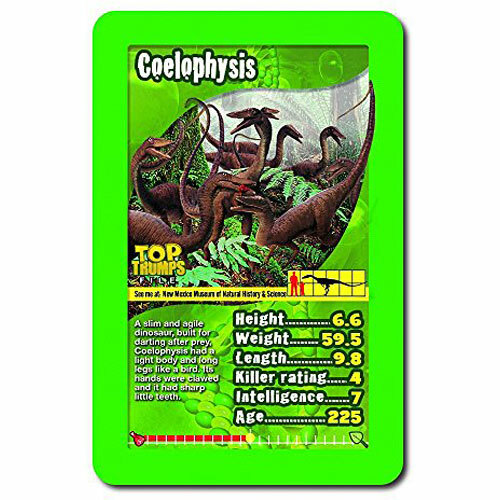 Dinosaurs Top Trumps even shows you which museum to visit to see the dinos in this pack. 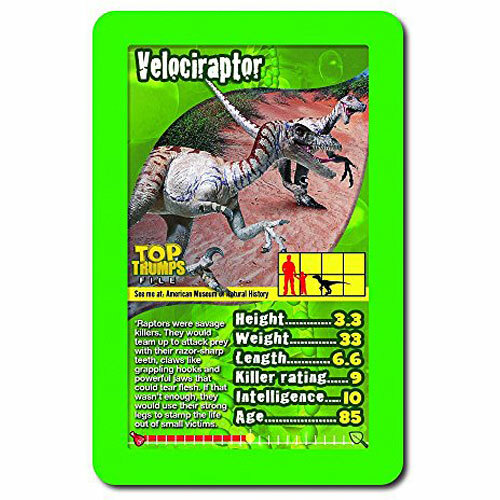 FUN - The new Dinosaurs Top Trumps is your guide to the amazing prehistoric world of the dinosaurs! Featuring 30 of the most incredible - and terrifying - creatures to ever walk the earth, this pack is full of fun stats and mind-blowing facts. EDUCATIONAL - Which was the oldest dinosaur of all, or the biggest? 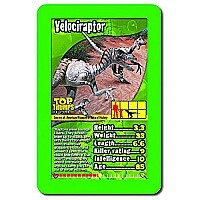 Dinosaurs Top Trumps even shows you which museum to visit to see the dinos in this pack. An ideal companion for travelling or at home. 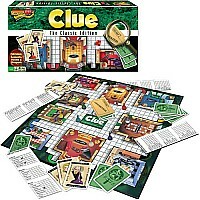 Fun for children and adults alike. Suitable for everyone over the age of 5. For 2-6 Players. 30 themed cards in each game. Engaging content: facts, stats and information to support image! 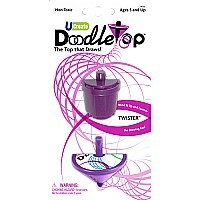 This proprietary brand is endorsed by educators and encourages camouflaged learning. 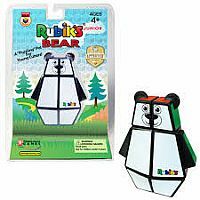 Helps improve literacy, numeracy and critical thinking. FUN - The new Dinosaurs Top Trumps is your guide to the amazing prehistoric world of the dinosaurs! Featuring 30 of the most incredible - and terrifying - creatures to ever walk the earth, this pack is full of fun stats and mind-blowing facts. 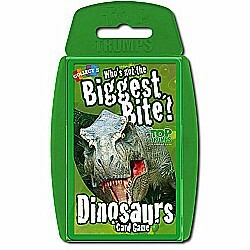 EDUCATIONAL - Which was the oldest dinosaur of all, or the biggest? 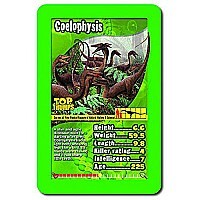 Dinosaurs Top Trumps even shows you which museum to visit to see the dinos in this pack. An ideal companion for travelling or at home. 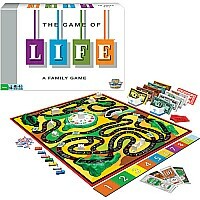 Fun for children and adults alike. Suitable for everyone over the age of 5. For 2-6 Players. 30 themed cards in each game. Engaging content: facts, stats and information to support image!